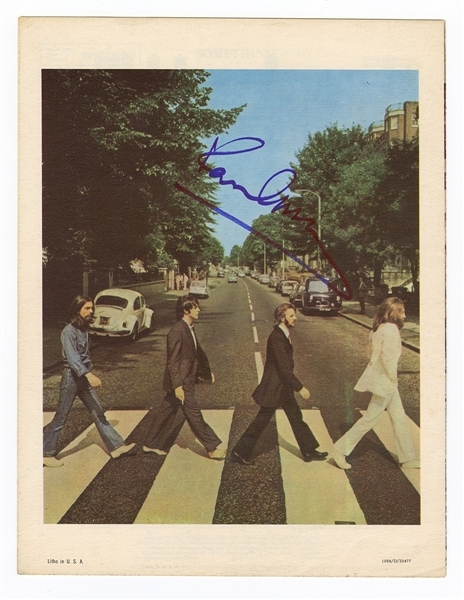 Paul McCartney has signed the back page of this Beatles sheet music for George Harrison's song "Something" in blue sharpie pen. Paul signed this sheet music on October 29, 2004 during his “Back in the U.S.” tour. 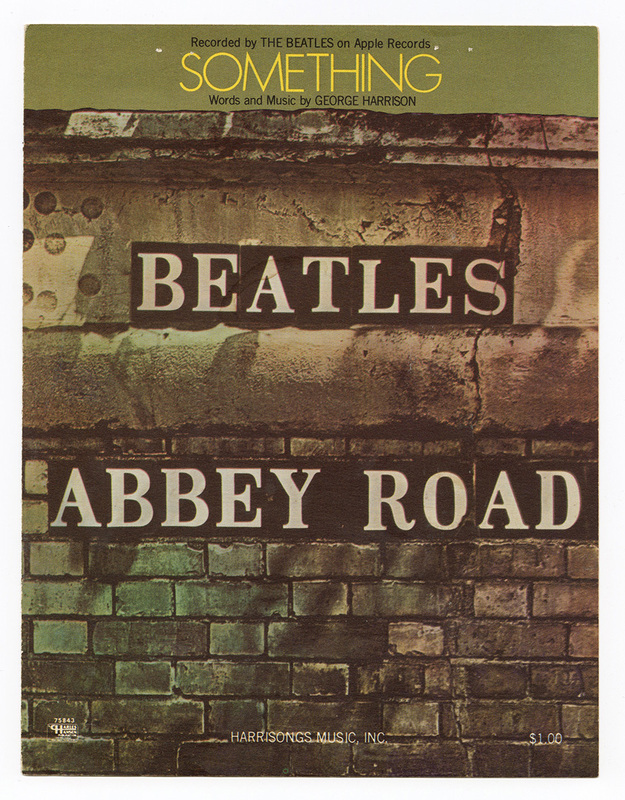 The back page features the cover of the Beatles album "Abbey Road". Very good condition. Comes with a ticket stub from the concert from which it was obtained, a letter of authenticity from Perry Cox and a Gotta Have Rock & Roll™ Certificate of Authenticity.